There’s a Facebook Group for each area of San Jose. 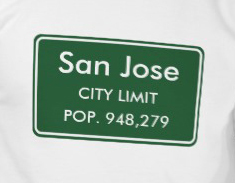 Click the link below to join the Facebook Group for your area of San Jose, then help it grow by adding your fellow community members!! New: “Alum Rock Community”: https://www.facebook.com/groups/alumrockcommunity Facebook group for people who live, work, or play in the Alum Rock area. Sharing of information in a civil manner. No attacks on any person or group allowed. It’s ok to post information about a politician and that person’s accomplishments. “East San Jose Leadership Group!“: https://www.facebook.com/groups/EastSanJoseLeadershipGroup/ Facebook group for East San Jose leaders and concerned residents. Topics related to East San Jose and quality of life. Just one example: the work of nonprofits in the area generally impact quality of life.